Here at JungleWorld, we’re able to provide flowers for pretty much any environment. Whether you’ve got a conference coming up and you need to spruce the conference room up a bit, a restaurant that you want to decorate, or even an office space that you want to bring a bit of nature into, there’s something to suit every need. While flowers are incredibly versatile, it can often change the mood drastically if the wrong colour, scent or even shape is used. 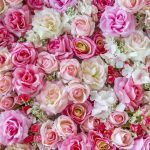 As we’re experts in creating floral displays for almost any corporate situation, we’ve put together a short guide to help you picture what you want your flower display to look like! The restaurant environment is meant to awaken the senses – whether it’s the smell of delicious food, the sound of relaxing music or even the colour of the décor, restaurant goers expect their senses to be roused as soon as they enter the room. 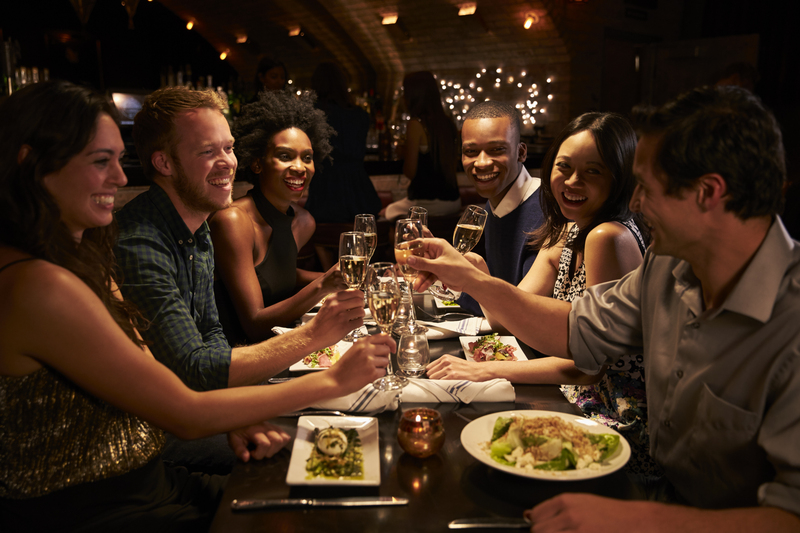 While smell is a huge part of the dining-out experience, it’s important that you aren’t overbearing your guests’ sense of smell with your choice of floral displays. Some flowers can emit a delicate aroma, whereas others can smell quite strong once their buds open. It’s important to get the right balance when it comes to choosing flowers for your restaurant setting, as you won’t want to overpower the senses of those eating in your restaurant, but sometimes you’ll want some form of flowery scent to add to the atmosphere. Avoiding flowers such as lilies and lavender is advisable as they are heavily scented, and while their scents are known for promoting calm, they can be very distracting and overpowering, especially when clashing with heavily scented foods such as curries or Thai food. 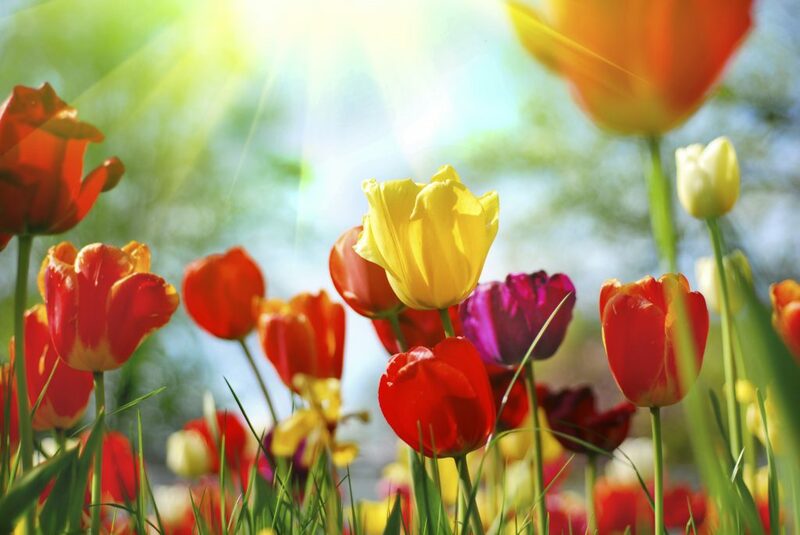 Instead, opt for flowers which have a much subtler scent – or even no apparent scent at all – such as tulips, anemones, ranunculus or even calla lilies. These still create a statement with how they look; some are bright and bold, while others are stunning shapes or even unique shades. You will also need to determine where you will be placing your display – will it be one large display, or many smaller displays which are situated on each table? This can often help you determine what flowers to use, as table displays will usually require smaller flowers than larger displays. Every office should consider including plants; not only does it make the office look and feel brighter, plants can help increase happiness and productivity in an office environment! Who doesn’t want a happy, hard-working office? It’s important to think carefully about your choice of flowers and plants that you want to have in your office space. Will there be regular watering and care? Do you want a plant that can help filter the air – let’s face it, the office environment can get a bit stuffy and humid and just generally feel a little bit dirty. 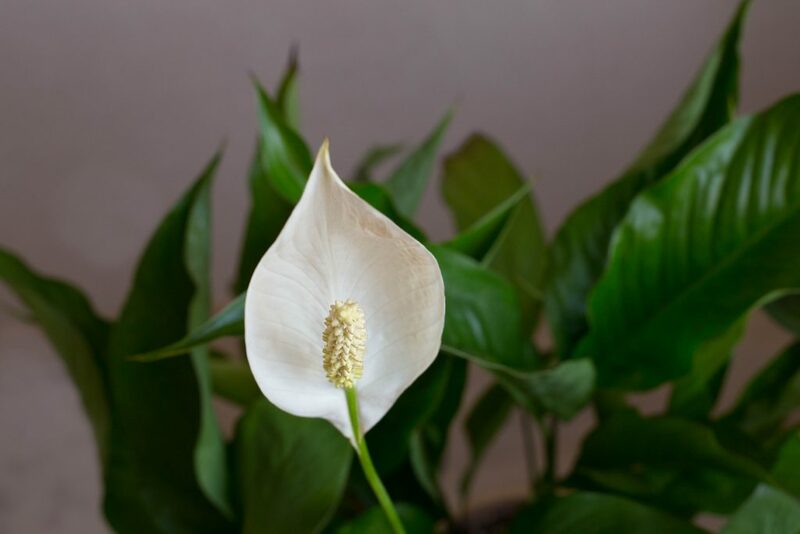 Peace lilies are great addition to any office – not only do they add a vast amount of greenery and a beautiful creamy white flower, they are also great for filtering and cleaning the air around them. While it won’t always avoid half the office coming down with the dreaded flu, it can help reduce the chances of people becoming sick! It can also throve in low-light conditions – perfect for those offices which don’t see a lot of daylight! Gerbera are also a wonderful addition to any display; again, they can help filter the air to get rid of some toxins – and one in particular which can be found in most offices. 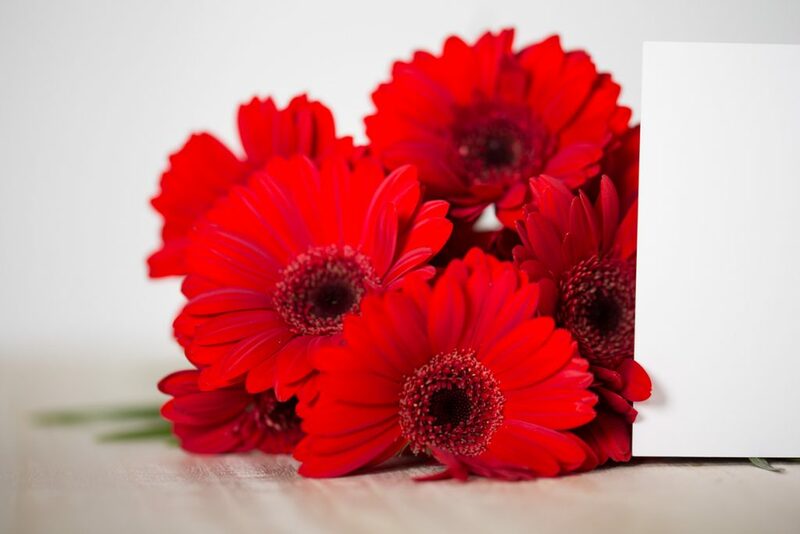 Benzene is often produced by printing systems in small amounts in the ink used, but by introducing the gerbera into your office, you can reduce the amount of these molecules floating around quite easily! 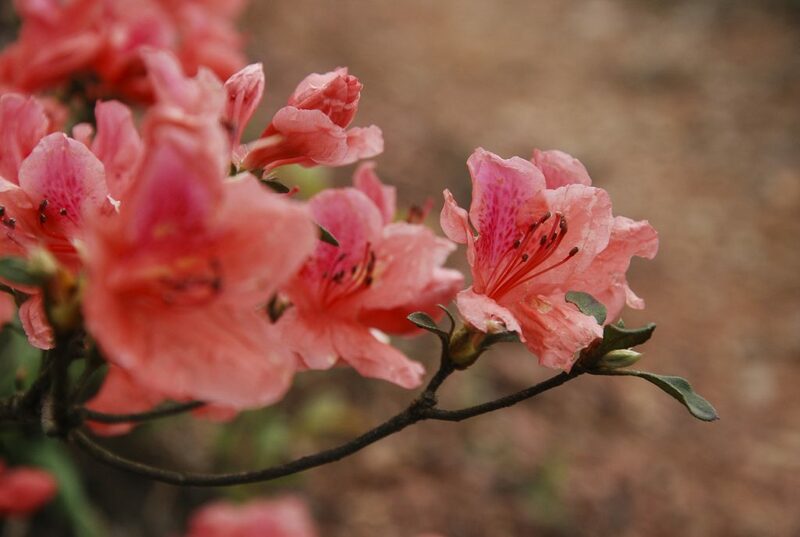 If your office is quite cool, you could opt for the delicate looking azalea. 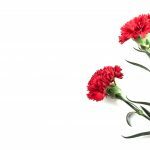 This flower thrives in cooler temperature, which means that it is great all year round – if you’re an office that likes to use its air conditioning during the warmer summer months! Got your promotional items? Check. Business cards? Check. Presentation? Check. What about conference flowers? While flowers may not be on your list of important things to remember for your conference, they can really make a difference to the feel of the room. Chances are there have been plenty of conferences in the same room that you have hired – but each one will have had their own special touches to make them special for the business hosting them. Whether it’s flowers which match the colour scheme of your brand, a display in the shape of your new product, or even just a spray of flowers that match the décor of the room that you’re in, it helps to break up the standard look of the space and makes it your own. 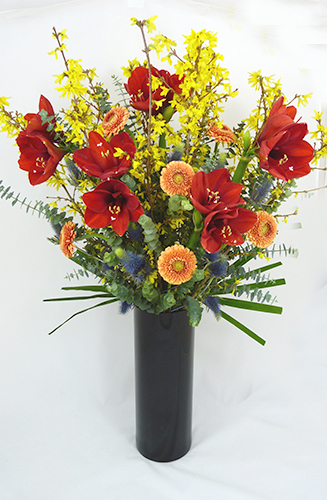 If you’re looking for a floral display for your office, restaurant or corporate event, please don’t hesitate to get in touch with us here at JungleWorld today – we’ll be more than happy to help you choose the perfect flowers for your space.